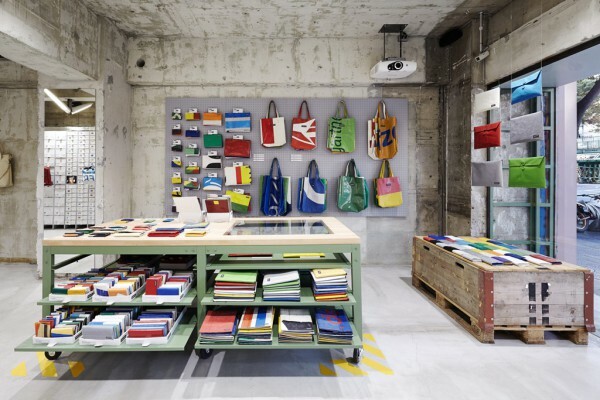 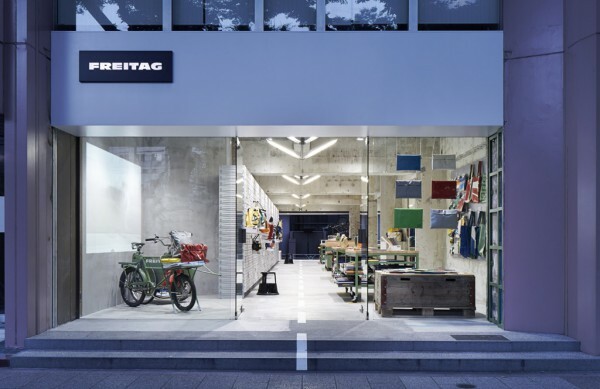 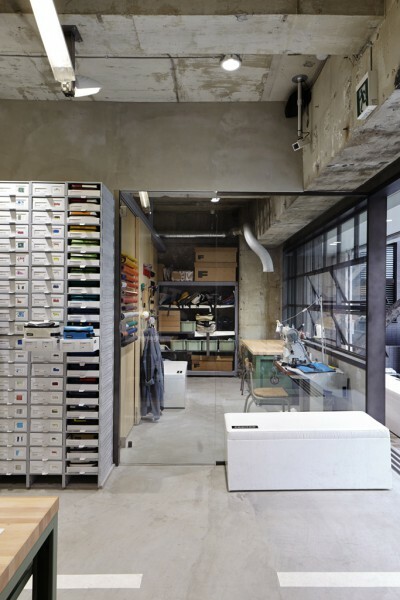 We designed an interior for FREITAG store in Shibuya, after Ginza location. 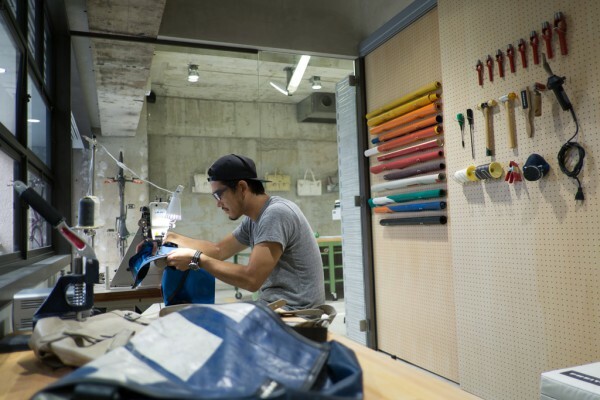 They sell colorful messenger bags and accessories made out of recycled truck tarpaulins, bicycle inner tubes, and used car seat belts. 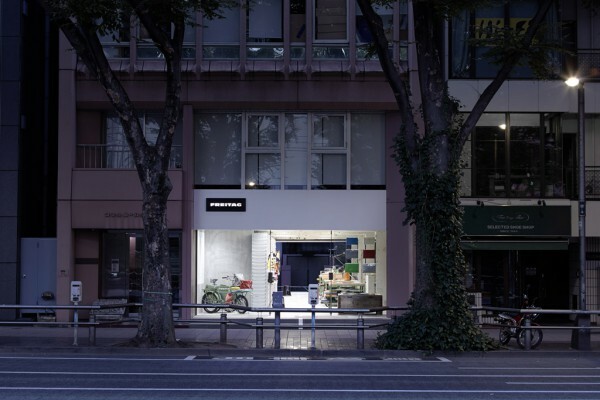 The store location faces both Meiji street and Cat street in the front and back side. 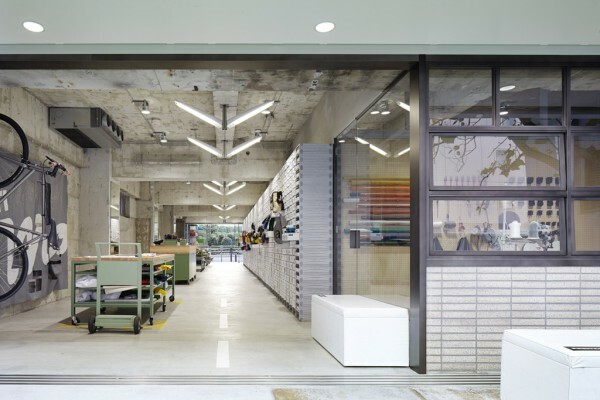 We were asked to feature at this unique location and build the same brand repair laboratory as a parallel establishment. 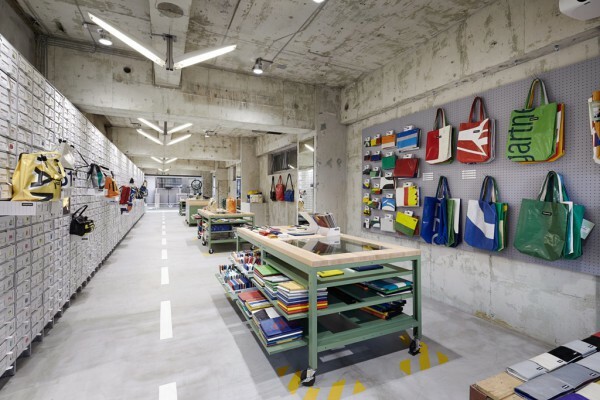 We decided to work with two themes “STREET” and “FACTORY.” By having streets on both sides, we imagined the store interior to be another street that connects two streets. 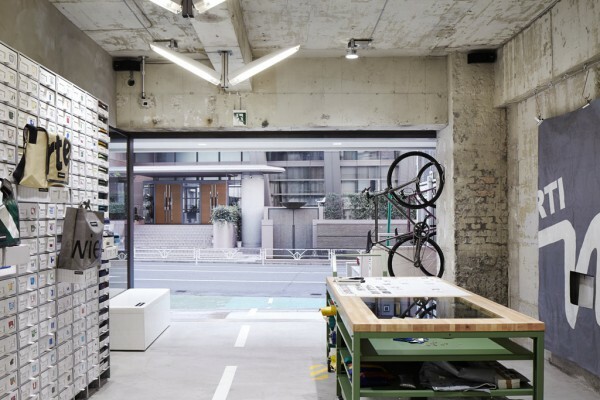 This means that the store will have two façades on each side of the road. 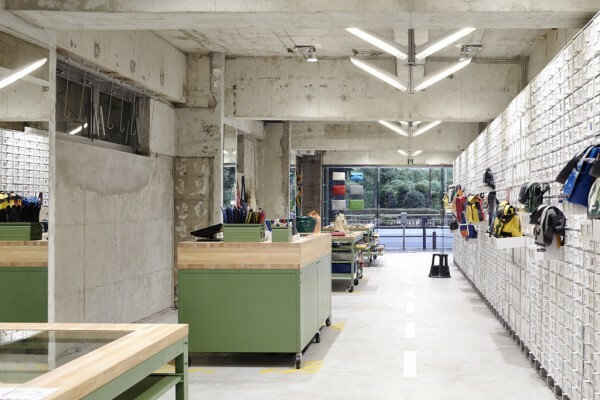 The repair laboratory facing Cat street has detailed projected windows, which makes the laboratory function like a show window. 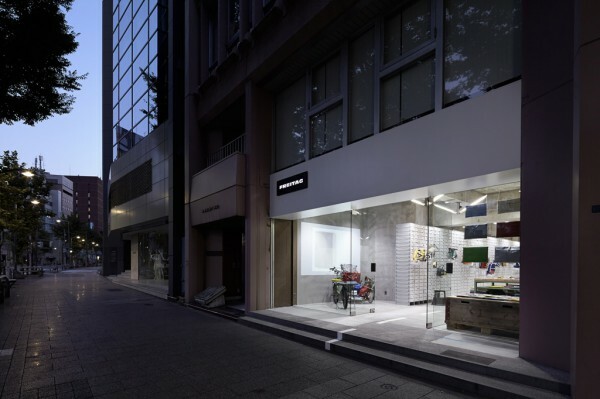 On the other hand, the large glass façade places emphasis on transparency towards Meiji street side. 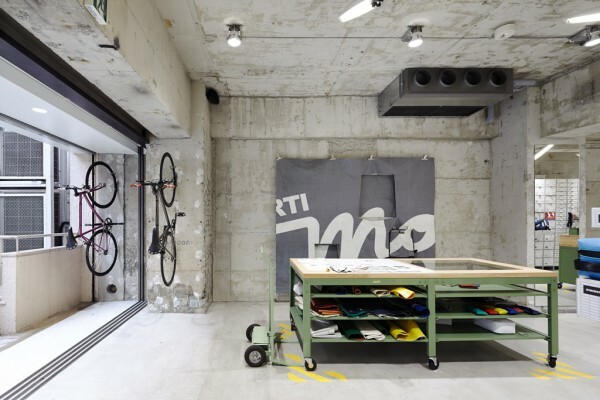 By removing the paint from the existing frame of the concrete building and sanding the surface, the rough texture appeared as a wall on old streets that used to exist. 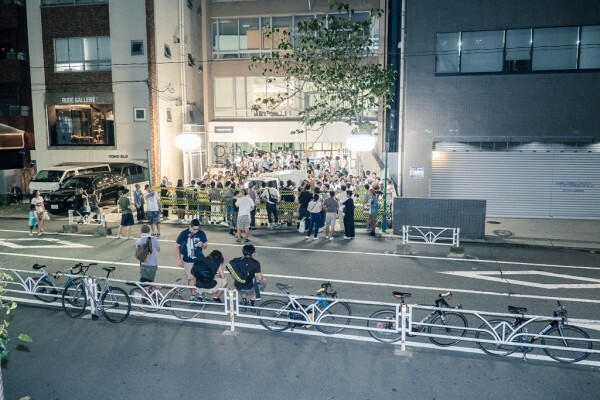 White lines drawn on the middle of the floor suggests a road extended from outside, meanwhile the street lamp creates street atmosphere to invite people naturally in to the store. 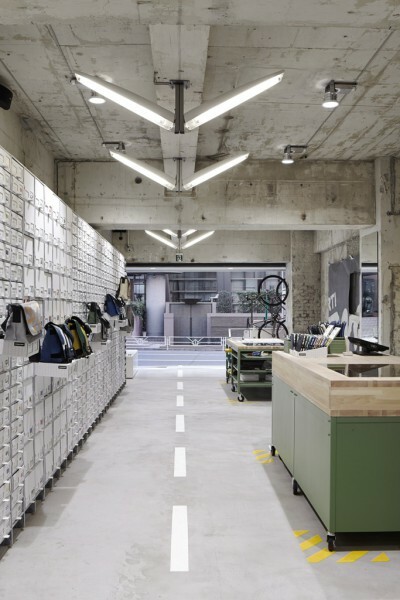 Repetitively placed V30 display, reconstructed mobile furniture made of industrial green and solid wood top board, yellow marking pattern, and drawer style embedded down lights produces “creative factory” feeling. 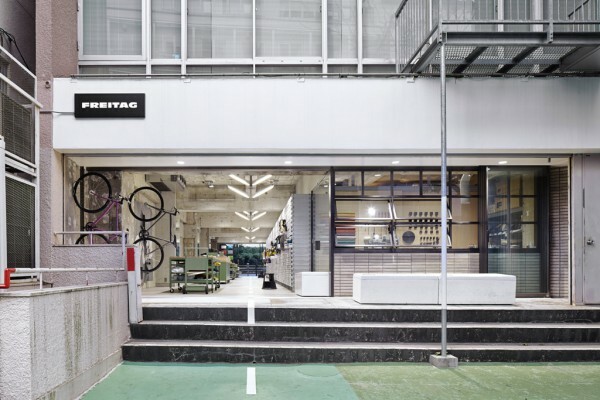 We attempted to give new value to the store by putting “STREET” and “FACTORY” theme together.